Nitrocut is a pre-workout supplement that is much favoured my many male users, but can often be overlooked by women who are trying hard to tone up and obtain or retain their curves. The black bottle the capsules come in does not help and the few token splashes of pink near the bottom of the label do little to appease the product’s masculine look. Nitrocut is a supplement for women as well as men though, and the manufacturers are so keen to point this out they have created a special Nitrocut sales page that extolls the product’s virtues as pertains to female users. Nitrocut is a pre-workout supplement in capsule form. As the name suggests, pre-workout supplements are designed to help the user maximise their workouts and obtain better results. 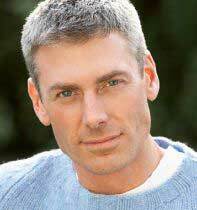 One of the ways Nitrocut achieves this is by boosting nitric oxide (NO) levels. NO boosters like Nitrocut cause the blood vessels to expand slightly. This ensures the muscles can obtain an increased supply of oxygen and nutrients—essentially feeding the muscles and ensuring they have the resources they need to continue training harder and longer. 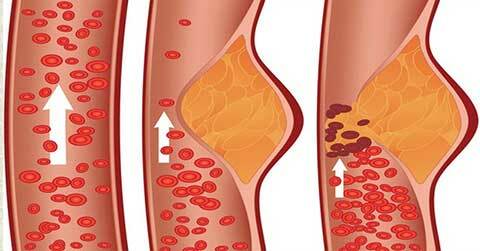 The slightly enlarged blood vessels are also better for carrying away all the performance-limiting chemicals that are a natural by-product of the exercise process. Vitamin D3 (800IU): A valuable nutrient with a good reputation for enhancing performance. Vitamin B6 (16mg) + Vitamin B12 (96mcg): B vitamins are a common inclusion in supplements of all kinds because their presence helps the body to convert food to energy. Raspberry Ketone (75mg): A healthful ingredient that is loaded with antioxidants and has a good reputation both as a fat burner and as an appetite suppressant. The rest of the ingredients are incorporated into two proprietary blends. Although the use of proprietary blends has resulted in a lack of inclusion rates for individual ingredients, both blends look promising and the fact that neither blend contains stimulants should make Nitrocut a particularly good choice for women who cannot tolerate stimulants or have a low tolerance of them. All of the ingredients used in the Advanced 4X Nitric Oxide Booster are known to be effective NO boosters; so the blend should live up to its name regardless of the ratios involved. As far as the Natural Strength Booster blend goes, tribulus terrestris and fenugreek stand out as being the two most promising inclusions. Both ingredients are renowned for their testosterone boosting abilities and an adequate supply of testosterone is essential for anyone who wishes to improve protein synthesis and maximize performance—and this is a fact that is equally true for women. Usage Instructions – On workout days two to four capsules should be taken just before exercise is commenced. On non-workout days the capsules should be consumed 45 minutes before eating breakfast. Alternatively the capsules can be taken 45 minutes before lunch. Customer reviews are thin on the ground, but a number of celebrities, including singer William Ray Norwood Jr and wrestler Chavo Guerrero Jr., are happy to admit to using the product. Side effects are unlikely (especially so given the lack of stimulants), but Nitrocut is not recommended for pregnant or nursing mothers. Anyone who has any health issues or concerns is advised to seek medical advice prior to commencing supplementation. The Nitrocut formulation contains some good ingredients that should be more than capable of supplying the kind of results the manufacturers promise. Although the lack of customer feedback is disappointing, the fact that celebrities like Guerrero are willing to be associated with the brand name speaks volumes for their faith in the product. We feel that faith is warranted and are happy to add Nitrocut to our list of approved products. Nitrocut is produced in America by Powerhouse Formulations LLC (trading as Nitrotrim) and sales are made via the company website. 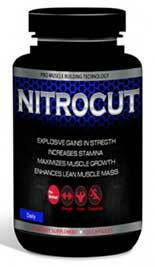 Each bottle of Nitrocut contains 120 capsules and costs $54.99 (price correct at the time of this review). Worldwide shipping is offered and delivery charges are waived for customers who live in the USA. Bulk buy discounts are available, with the best deal going to customers who purchase four bottles of pills for $210 and get a further two bottles free of charge. 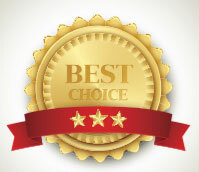 As far as the price goes, Nitrocut compares well with many competing products and the presence of a 60 day money back guarantee ensures customers have a pretty good reason for buying.